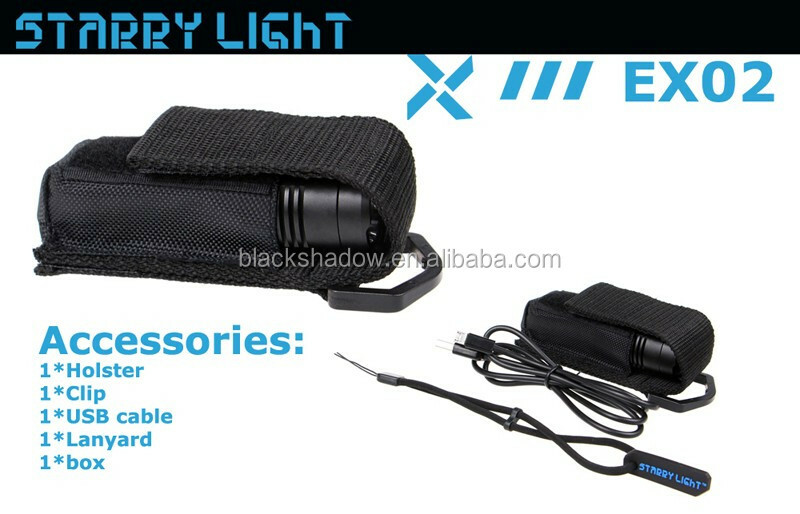 Packing of USB rechargeable led flashlight : Retailing color box. 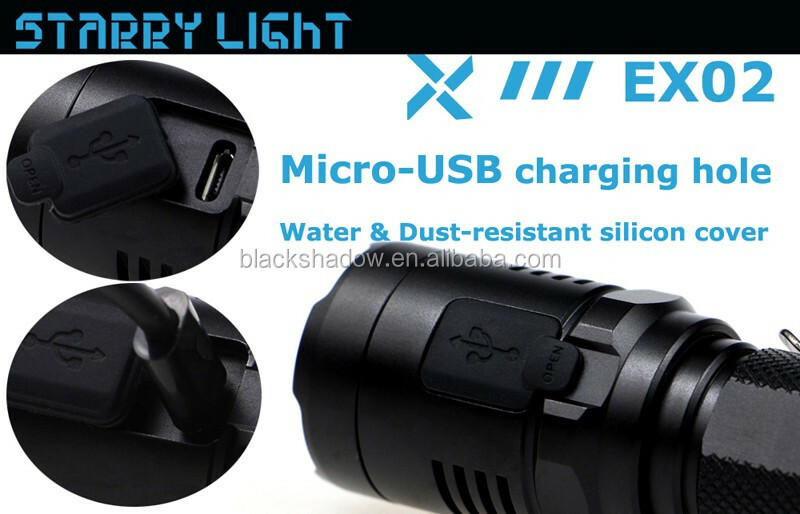 Digital CC circuit, Power indicating system, Low-voltage alarming system, charging indicating system. 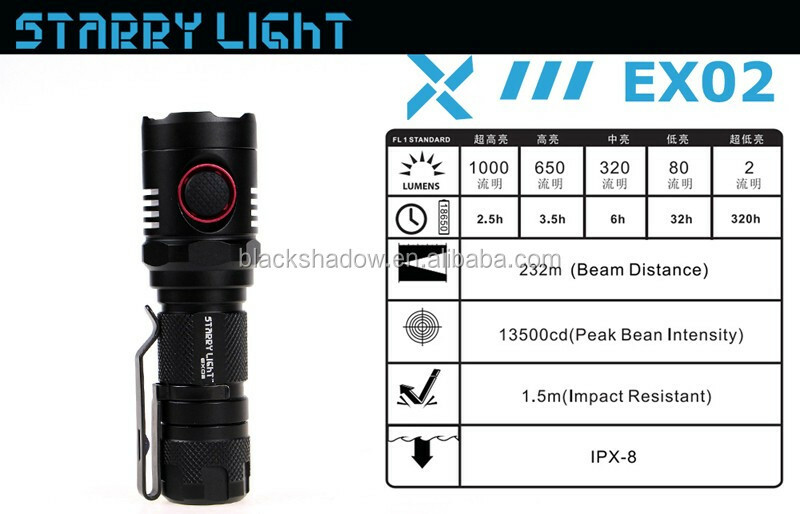 IPX-7, unable to support dive use. 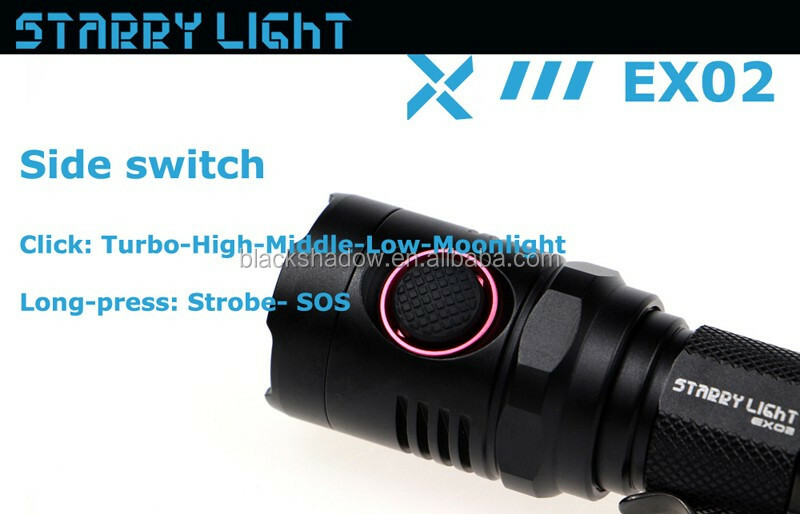 StarryLight EX02 was released in Mar, 2016. 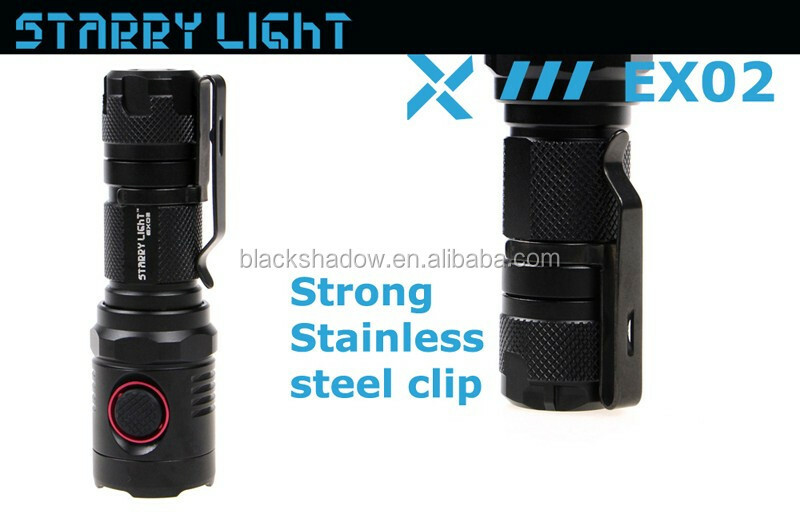 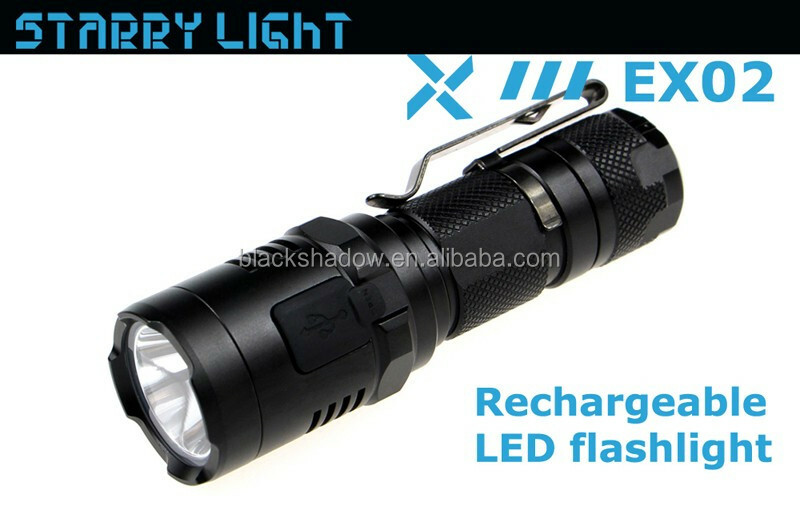 EX01 led flashlight is a high intensity rechargeable flashlight in small size and tough outer shell, which is very suitable for everyday carry and outdoor use, you can use it as an emergency lighting source or self-security tool when encountering danger. 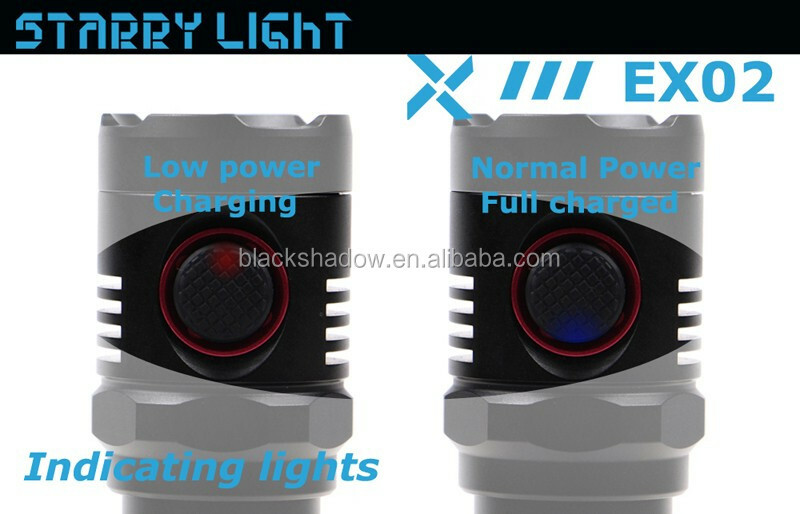 Adopted in newest XM-L2 U2 LED, EX02 rechargeable led flashlight outputs as high as 1000lumens on high mode. 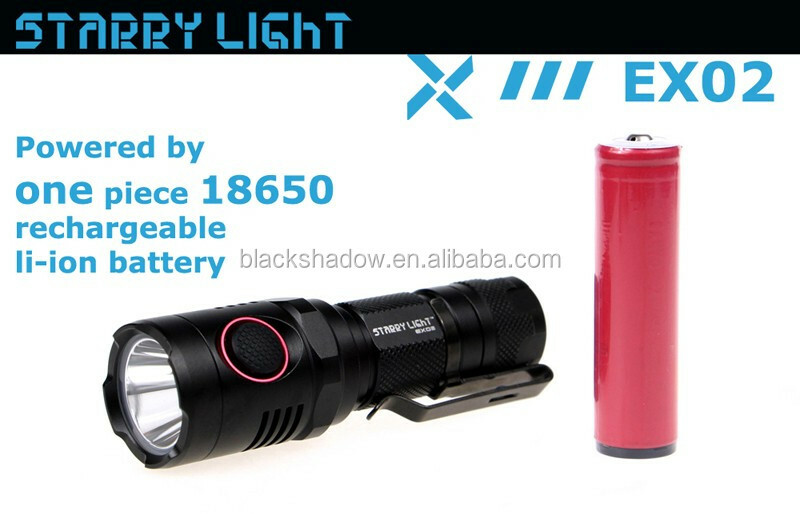 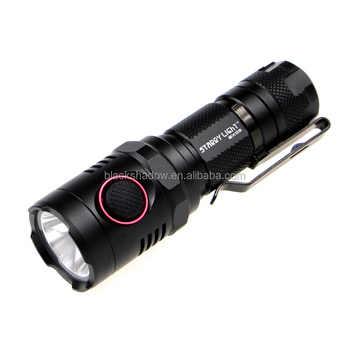 Powered by 1 piece 18650 li-ion battery, EX02 rechargeable led flashlight provides a super long runtime. 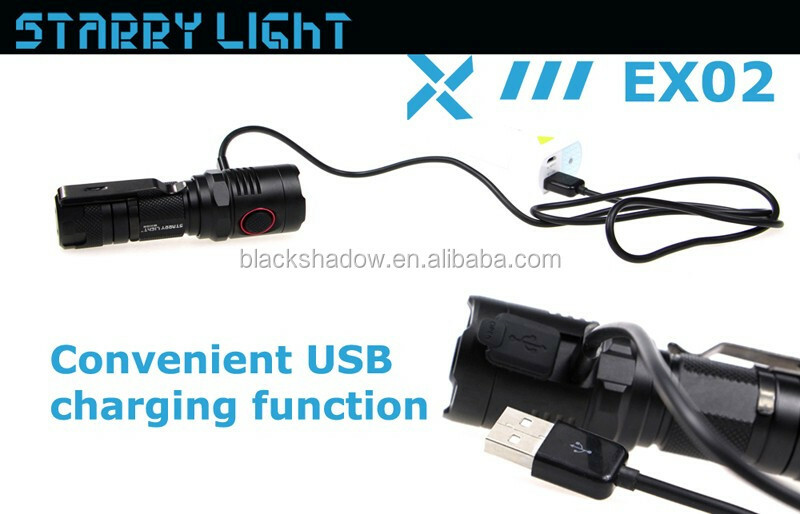 EX02 can be rechargeable through an USB charging cable, and compatible with cellphone USB, Car USB, PC USB, you can also use it as a power bank, very convenient for daily use. 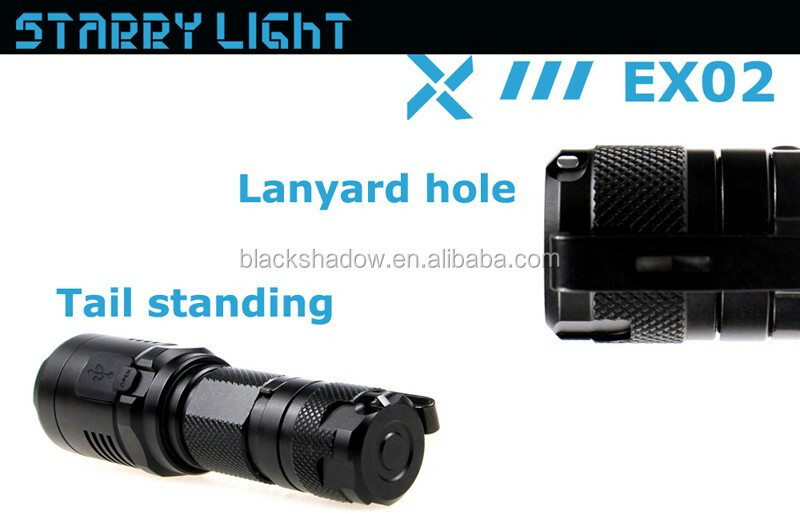 A high quality holster, clip and a tactical lanyard enable users to work in different conditions. 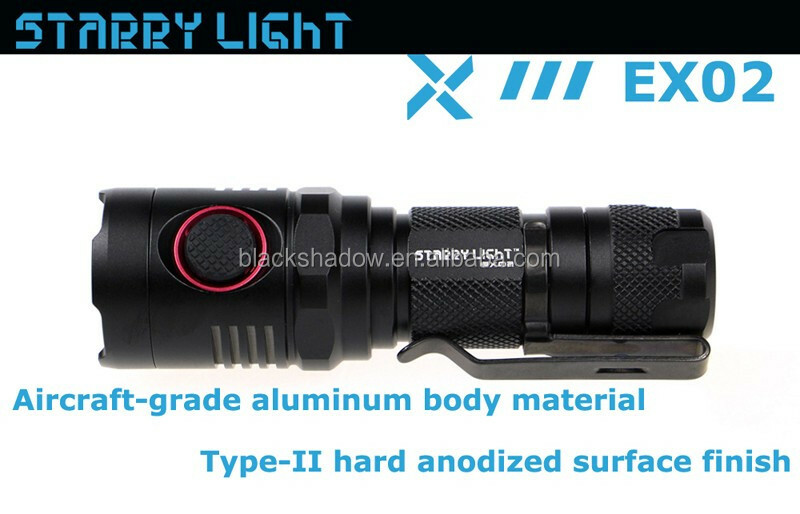 With all of the features like compact design, User friendly interface, and waterproof to IPX-7 standard, EX02 is a good flashlight suitable for everyday carry, basic outdoor use, self defense or emergency house hold use. 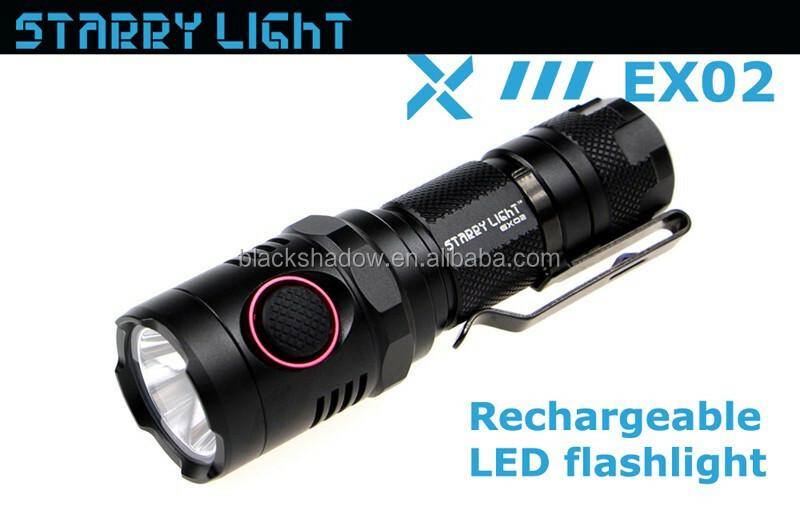 Shenzhen Blackshadow Technology Co., Ltd.